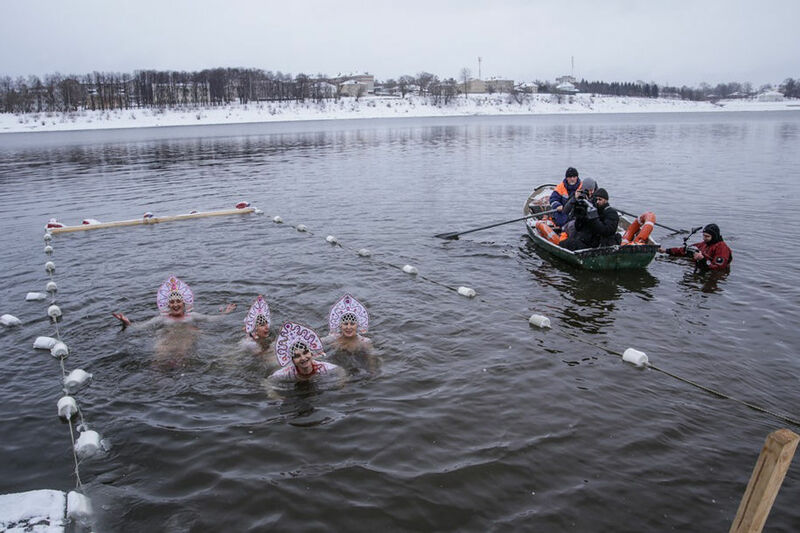 February is the time of winter leisure festival in the Russian town of Uglich. 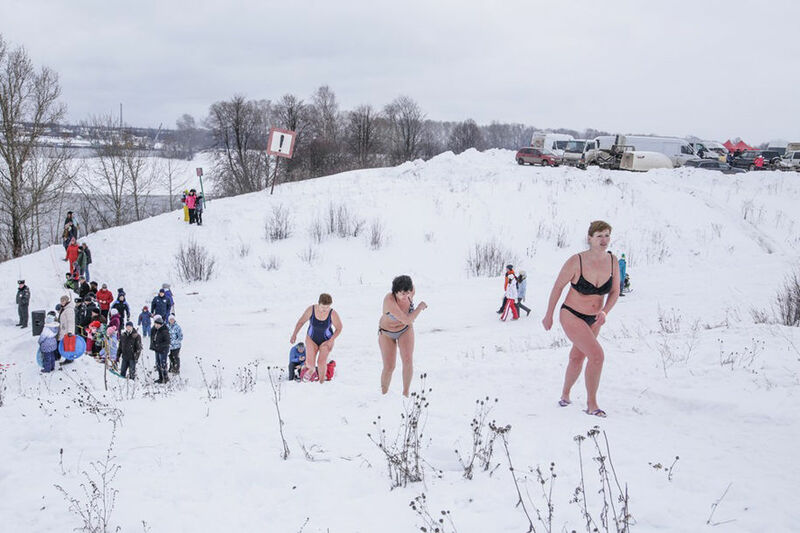 For two days every year, this sport festival brings together the amateurs of sports and winter activities. 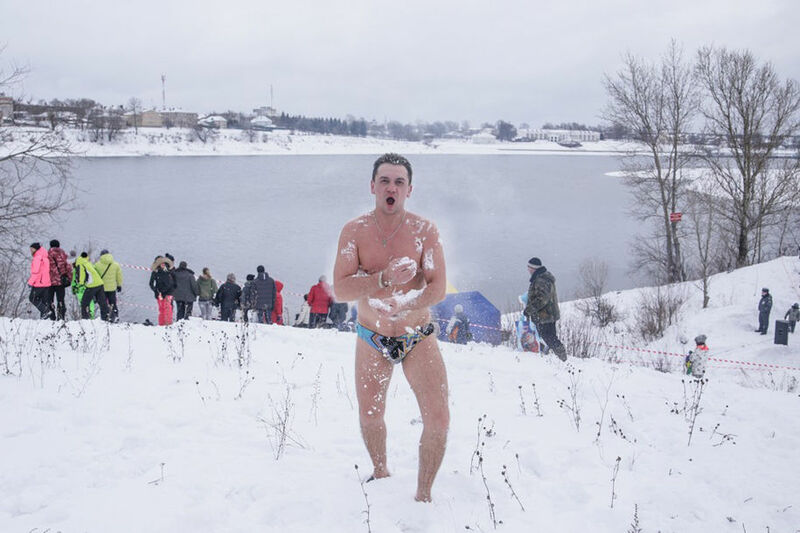 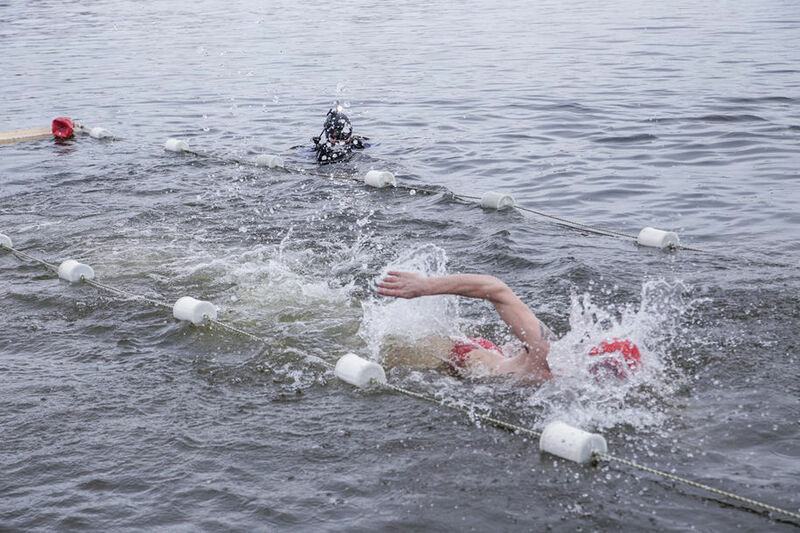 The event keeps the colorful traditions of Russian festivities and includes ice-water swimming. 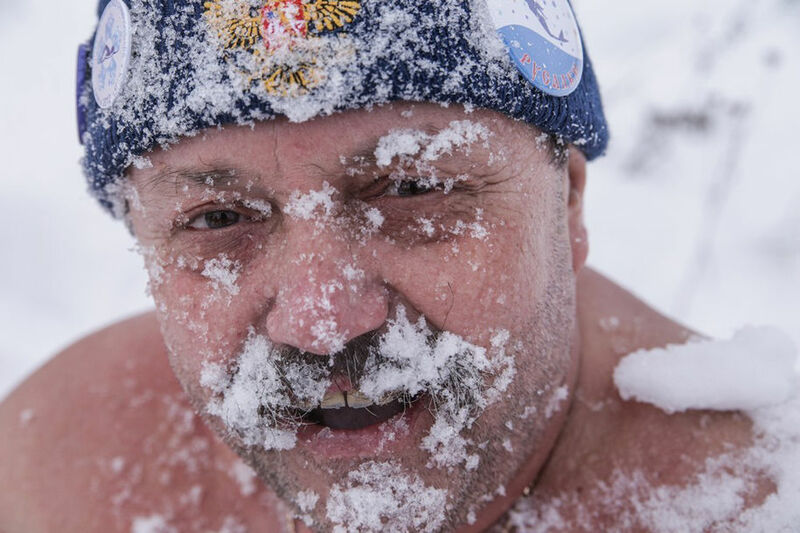 February 7th was the anniversary of the opening of Sochi Olympics. 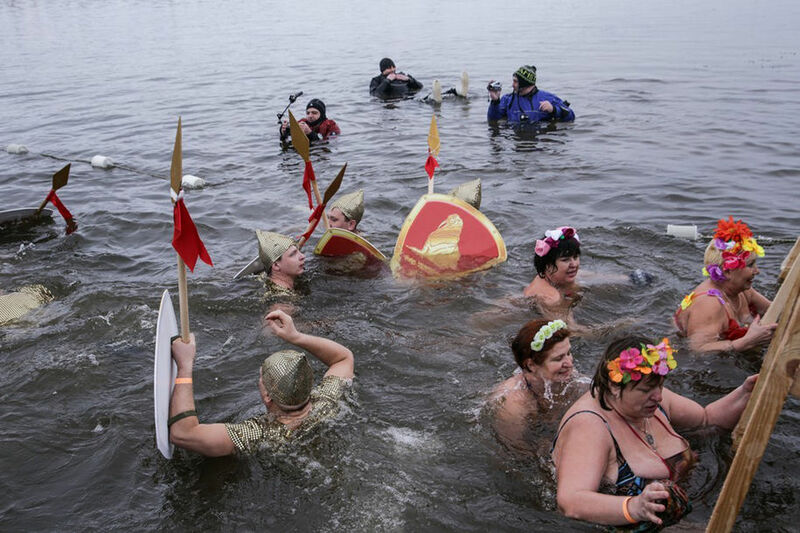 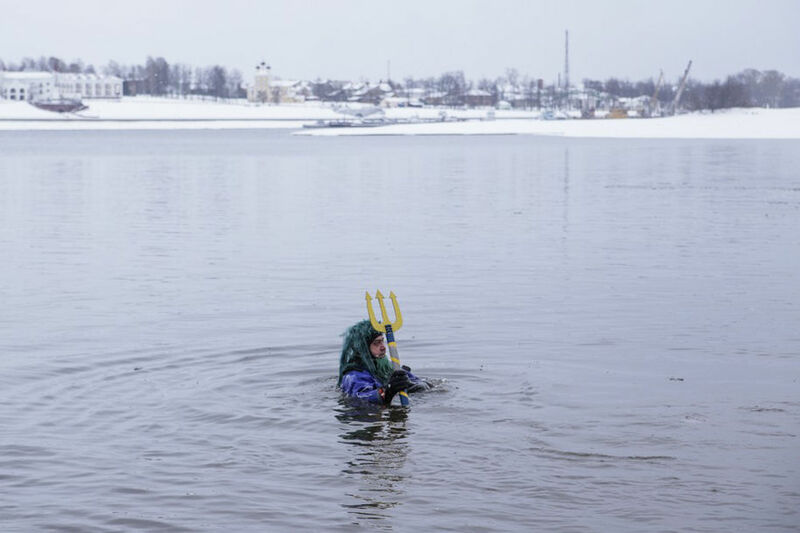 Members of the Walrus Clubs (“walruses” Russian: моржи, “morzhi”) marked the event with a refreshing dip in icy waters of Volga river.